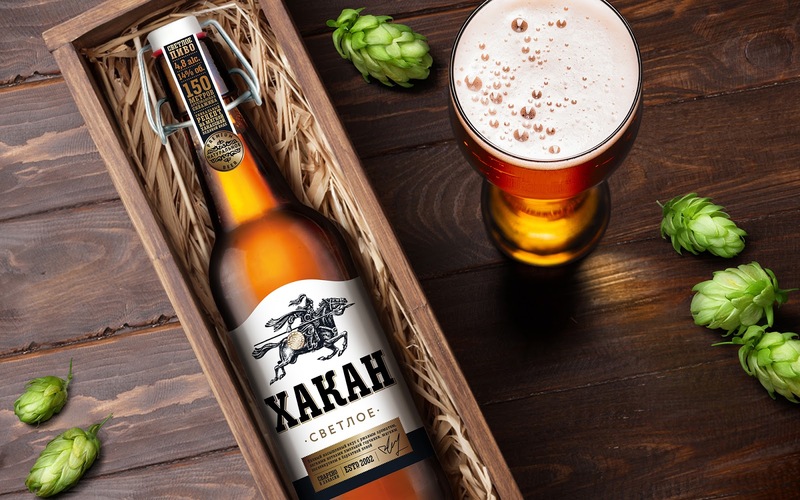 The Alpina company, one of the leading beer producers in Khakassia, comissoned us to create a new brand of beer in the rope bottle in the medium-high price segment. Alpina Brewery is one of the biggest Khakassia’s enterprises. The company produces a variety of alcoholic and non-alcoholic beverages based on the purest Khakass water. Expanding its portfolio of "beer" brands, Alpina decides to release a new brand of premium beer in the rope bottle. Khakassia is a small region with fabulously beautiful nature. The Yenisei River flows here and there are the most beautiful mountains in Russia - Sayani. The original nature, clean water from its own artesian well, the unique ecosystem of this region - all these benefits are the advantages of a new brand. 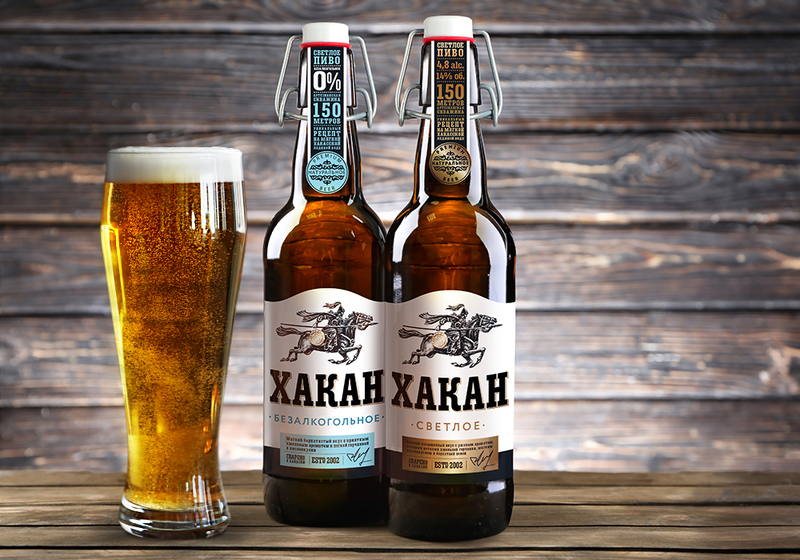 The purest artesian water of Khakassian sources, from which beer is brewed, is a significant product advantage. Preliminary research and testing of the brand hypothesis of mass markers shows that one of the main factors is the presence of unique, empty and spineless taste characteristics of beer in the mass market. On the other hand, an urgent need was identified for the qualitative status of a domestic brand, which could come to replace imported brands and was proud of its origin. The conducted audience research allowed defining the problem in categories and choosing a perspective position - “a reason for pride in the beer of the native land”. With the help of our diagnostic instrument «Platform for Growth», we detailed the value benchmarks: authenticity, love for the native land, a desire to be proud of our product and business, and also to put forward appropriate character traits - strength, integrity and confidence. 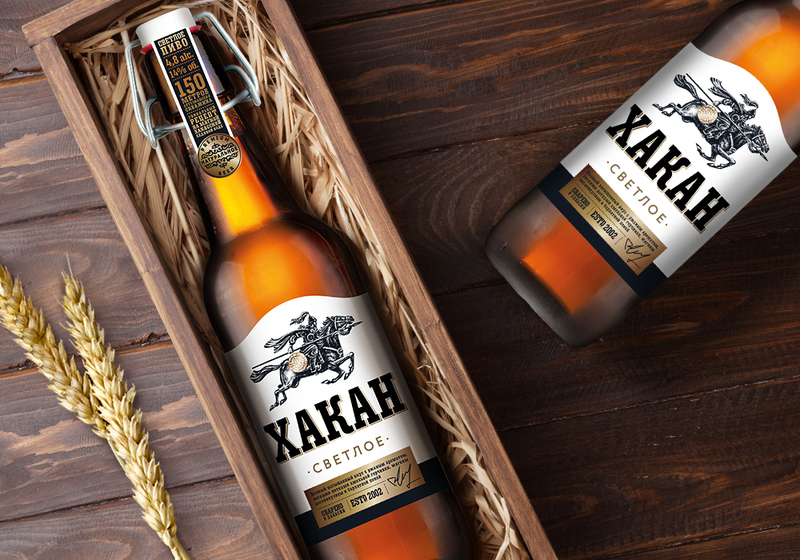 Emphasizing the unique character and origin of the brand, we built a system of identity around the image of the warrior-conqueror of the Turkic tribes - Khakan. The name itself not only allows to strengthen the character traits, but also has strong associations with Khakassia, thanks to the name of the region and the Turkic title. 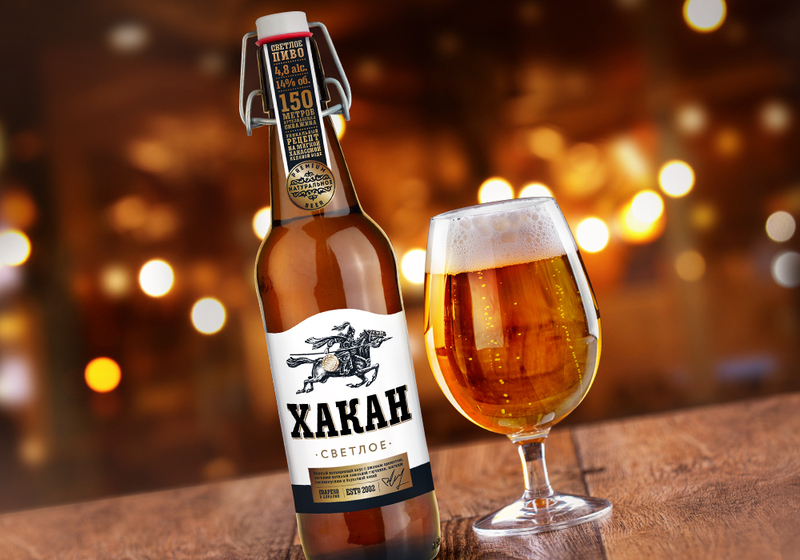 The image of warrior made in the style of modern engraving on a contrasting and concise label, formed a strong visual layer with a recognizable symbol that conveys the character of the very nature of the region. The conversion layer in the form of a “passport” of the product reveals advantages over competitors: pure soft water from its own arterial wells, providing an unmatched and unique taste of beer and quality control at each stage of production. Most of the national brands in the high price segment play an important role in the creation of new world technologies, including "smart" or "true" true origins, or translated into "German, Czech or Belgian analog". ons and surrounding areas. 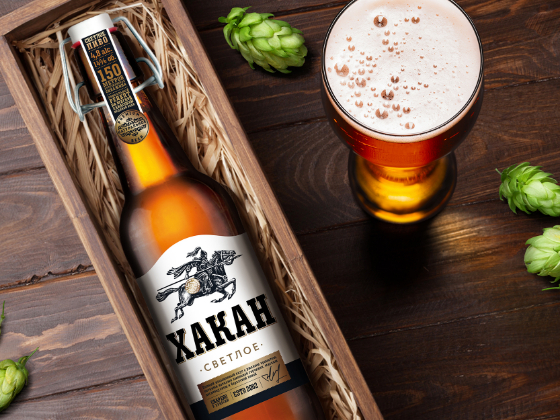 Khakan is an original premium class amber lager, distinguished by their strong character and bright taste.